It’s taking MEGA will power on my part to keep me from giving this to my boys’ early this season. My guys are still allll about Minecraft so I know they will go nuts over this latest game release: Minecraft Story Mode. How is this different from regular Minecraft? I’m actually thinking it’s not such a bad thing that I am holding off giving this to them because more of the episodes will be made available – right now just the first one is. Either way, it’s a great holiday gift for the Minecraft fan and gamer. 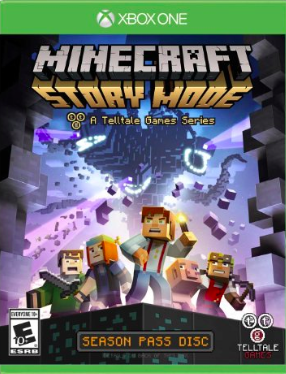 Oh and the price is nice for a game too: GetMinecraft Story Mode on Amazon for $29.99. Platforms available: Xbox 360, Xbox One, PS3 & PS4.